For over 30 years, Ramfire Building Maintenance has been providing consistently reliable and exceptional cleaning, janitorial and general building and facilities maintenance to our commercial and residential customers. In fact, our motto is "You can rely on us!" What does reliability mean? It means longevity: We’ve been around for over 30 years. It means a long term professional staff: People who are specialists in their field. It means direct owner involvement: We have 24 accessibility and are available for emergency services. It means we care about your job! You can rely on us to listen and understand your needs. You can rely on us to come up with plan to suit your needs. And you can rely on us to communicate with you to make sure that we did the job right. We know that communication is the key to success for lasting working relationships. 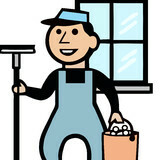 SUN PROVIDES A TOTAL BEGINNING TO END SOLUTION FOR YOUR WINDOW AND GUTTER CLEANING NEEDS. WITH OVER 16 YEARS EXPERIENCE IN THE INDUSTRY WE TAKE PRIDE IN OUR WORK. WE HAVE PROFESSIONAL WELL TRAINED EMPLOYEES THAT ARE LICENSED AND BONDED. I STRONGLY BELIEVE IN "DOING IT RIGHT THE FIRST TIME." I DID MY PERSONAL GUARANTEE ON THAT. I GUARANTEE I WILL BEAT OTHER ESTIMATES. What better way to maintain your house or place of business than having CLEAN windows and a FRESH coat of paint? 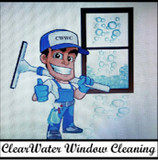 At A Clear Choice Services we are experts at making your windows crystal clear. We are prompt, clean and courteous. We provide Homeowners, Real Estate specialists and Stagers with quality assistance in their home improvement needs. We also provide services to Commercial buildings. We provide other services such as: Gutter Cleaning, Painting (exterior and interior), Power/Pressure Washing, Small Handyman projects ( painting, fixture replacement, tile fixing, and landscape installation). We have the BEST service in our industry. Contact us for a FREE estimate on your home and office improvement needs. We have over 14 years in the cleaning service industry We are members of the International Window Cleaning Association in alliance with OSHA. Our employees are certified and trained in the industries highest levels of security and best practice standards. Our regular customers particularly value the quality of our work, our professionalism, and our commitment to green products, practices, and methods that take care of our planet. 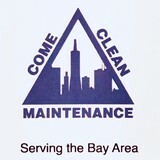 We currently service all of the San Francisco Bay Area. Window Cleaning serving in the Sebastopol area.